As always looking forward to it! Seems like Pixar is putting a lot more effort in the marketing of its new movies. Like the 9 minutes of ratatouille that was released. Things like that help quite a bit to get my friends along to see Ratatouille. 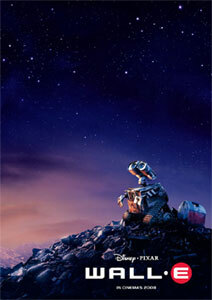 I really like the look of Walle-E! The animation is amazing as usual, but the amazing animation on a really great design is so pleasing. I've always loved the fun little "robotic" motions that... well.. robots have, but he also has some zippy motion that gives him so much personality. You can see his innocence in it. Great stuff! I can't wait to see this movie. Are you working on this one Victor? sugartastic - yeah, I've been working on WALL-E for almost 2 years now. Not sick of it yet! I think we wrap animation in February. Looks good, I cant wait to see it!